Product prices and availability are accurate as of 2019-04-19 23:48:10 UTC and are subject to change. Any price and availability information displayed on http://www.amazon.com/ at the time of purchase will apply to the purchase of this product. 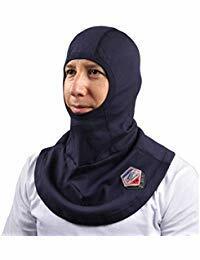 The AH1520 TruGuard balaclava sock hood is comfortable and ARC 2 rated meeting NFPA 70E with an ATPV of 10 cal/cm. 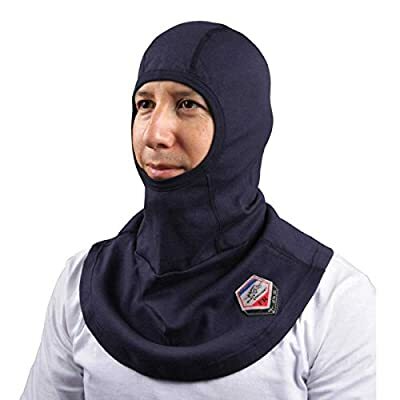 The soft FR cotton jersey knit fabric offers single layer protection to the head and 360 degree protection to the base of the neck. An ergonomic contoured fit conforms close to the head reducing unnecessary bulk and reduces discomfort under helmets. A prominent FR label with AR ratings is stitched to the outside for easy inspection. With its economic lightweight jersey material and FR treatment lasting several dozen washes, it is a cost effective solution. Proffesional welding online shop is a participant in the Amazon Services LLC Associates Program, an affiliate advertising program designed to provide a means for sites to earn advertising fees by advertising and linking to Amazon.com, Endless.com, MYHABIT.com, SmallParts.com, or AmazonWireless.com. Amazon, the Amazon logo, AmazonSupply, and the AmazonSupply logo are trademarks of Amazon.com, Inc. or its affiliates.